Rock band Filter was forced to cancel its show scheduled for June 13 at the Sticky Fingers nightclub in Gothenburg, Sweden, after receiving a death threat, according to a post on on the band’s official Facebook page. “Filter just received a death threat at the club tonight. We will not be performing,” the group shared on Facebook. Publicist Lily Golightly apologized to the band’s fans and touched on the violent events of this past weekend, in an email to Epoch Times. Most fans on Filter’s Facebook page were understanding about the cancelation. “Hey Richard and Co.! Be safe out there. We adore you guys and hope everything is ok. Please keep us posted. Can’t imagine a world without Filter,” said Christian Summer. Omar Mateen, 29, opened fire in Orlando’s Pulse nightclub with a Sig Sauer MCX assault-style rifle and a handgun. Police say 49 people died in the shooting, plus Mateen, while 53 others were injured. Mateen reportedly called 911 to pledge his allegiance to the Islamic State, or ISIS, terrorist group before the attack. ISIS is believed to have taken responsibility through its official news channel. Recording artist, Christina Grimmie was shot and killed by Kevin James Loibl during an autograph session with fans after a concert in Orlando, Fla., on June 10. Her older brother, Marcus, tackled the gunman, who then fatally shot himself. Loibl traveled from St. Petersburg, Fla., to Orlando armed with two handguns, a hunting knife, and extra ammunition with the intent to kill Grimmie, police sources have said, adding that the motive is not yet known. The bloody weekend in Florida has again opened the discussion about gun control in the United States. 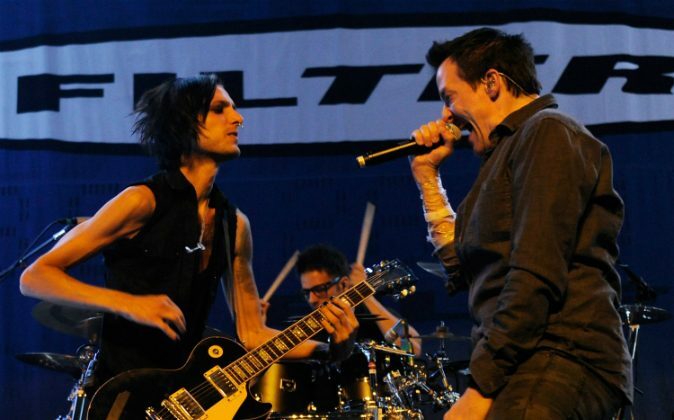 Filter is still scheduled to perform in Stockholm on June 14 at the Göta Källare with Combichrist and Lord of the Lost. CORRECTION: A previous version of this article incorrectly stated the type of weapon that was used in the attack.